Paper copies don’t allow you to build your own study Bible—at least, not without a lot of glue, precision, and paper cuts. With digital resources, you can have the exact study Bible you want in just four, easy steps. 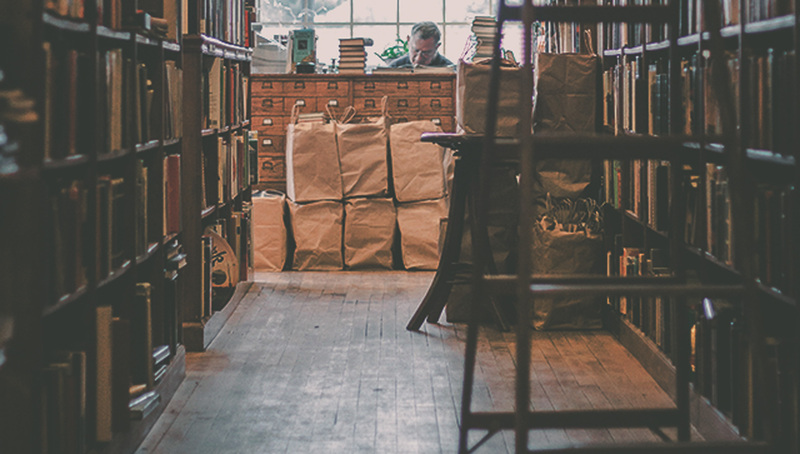 Here’s how to build your ultimate study Bible with Olive Tree. In fact, pick two or three. Using multiple translations in your Bible study is much more helpful than you may realize. Translations can be categorized across a spectrum. On one side, there are word-for-word translations. These sometimes sound awkward and can be a bit confusing, but are meant to be a more literal interpretation or the original language. The further you get to this end of the spectrum, the better than translation is for word studies and academic research. On the other side of the spectrum, there are thought-for-thought translations. When we hire translators to interpret a presentation or book, they often use this method. Language does not always translate well word-for-word. It would lose it’s meaning! So, thought-for-thought translations aim to express the main concept and emotion of the text in a way modern speakers can understand. If you are only using a Bible to study right now, I really want to encourage you to get a study Bible. When we have sales, we can often discount study Bibles to as low as $8. For only $8 you can read reliable commentary on the Bible, learning from scholars and dedicated Christians. Some study Bibles even come with maps, charts & illustrations, and concordances. Spending less than $10 to invest in your study of God’s Word is definitely worth it. So, now you’ve got a Bible, and some helpful notes. What’s next? A dictionary. In short, Bible dictionaries help you understand not the definition of the English word, but the definition of the word in its original language. You might not know Greek or Hebrew. You also might not have extensive cultural knowledge of the Bible’s people groups. With a dictionary, you can have extensive knowledge summarized for you and presented when you need it. If you have these first three resources, you are definitely ready to start studying the Bible deeply! However, there are also lots of other really fun, helpful resources that can make your Bible study more applicable and come to life. Get visual! Follow Paul’s missionary journey, see pictures of historic landmarks, and learn more about middle eastern geography. Maps and atlases will help you grow in your understand of the Bible as a real, historical document—not just stories that happened to other people way back when. The Bible gives the best interpretation of itself. From Genesis to Revelation, we see one, cohesive narrative provided by God—and we can use other passages to help us understand the section we are reading. But, unless you have the entire Bible memorized, you might not know where to look. So, cross references are a fantastic tool that shows you other related passages with just a tap. Bible handbooks give you condensed information, quickly providing you with an overview of the Bible and its books. You’ll find it easy to learn the basics! 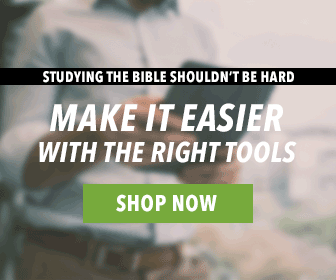 READY TO BUILD YOUR OWN STUDY BIBLE? Head on over to olivetree.com to start building! That’s a good resource, too! I would like the option of a chronological study bible. Some of the “arranged” study bibles are difficult to use in a group Bible study, so make sure that the verses and chapters are traditionally arranged, or you might be looking for the passage while the group has already begun discussing it. Many thanks for olive tree! God bless your work! I once used another popular Bible app. Respectfully, the Olive Tree Bible App is so rich and so incredible. Most of what I own physically, I also have on this app now.